It's about a five-hour ride from Clinton, Miss., to Auburn, Ala., but the gap between the Mississippi College and Auburn on the hardwood is more like 5 million miles. The Choctaws get a chance to see how they measure up against the No. 9 team in the nation when they make that trip along I-20 for Wednesday night's game at Auburn Arena. To say the Choctaws face a stiff challenge is an understatement. Division II Mississippi College with an enrollment of a little more than 5,000 plays in the Gulf South Conference with the likes of Christian Brothers, Delta State and Shorter. Last season the Choctaws went 9-16. They haven't won 10 games since the 2012-2013 season and lost by 28 in an exhibition against Division I Nicholls State on Nov. 6. 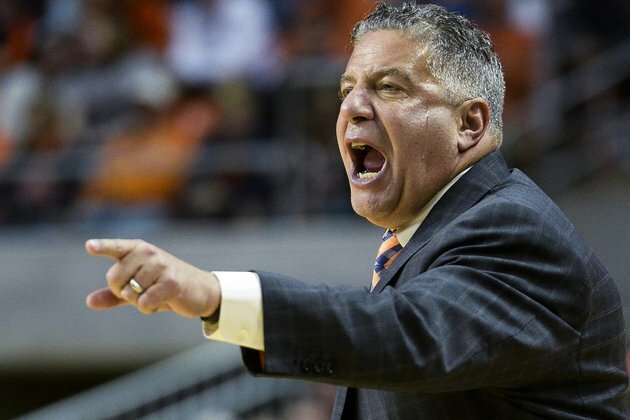 And it's not as if Auburn and head coach Bruce Pearl are taking the Choctaws lightly, but the Tigers have bigger fish to fry coming up next week. In fact, Pearl said the Tigers won't start preparing for Mississippi College until Tuesday. After easily dispatching No. 25 Washington on Friday, Pearl said the staff will focus on the Maui Jim Maui Invitational, which starts next week. "There'll be heavy days in the office this weekend studying our Maui opponents," Pearl told the Dothan Eagle. No disrespect to the Choctaws, but Pearl is just being honest. "If you can beat Washington by 20, you can go to Maui and compete," Pearl said. "Xavier will be really good. Really good. San Diego State or Duke -- really good. "We'll focus on our bracket this week. We'll focus on those three teams -- and just keep working on getting better." This season, Mississippi College is 1-1 and coming off an overtime loss on Monday to Talladega. Mississippi College led by six with less than three minutes left in the game but couldn't hold on. Scoring isn't a problem for Don Lofton's squad. They average 90.5 points after their first two games, but they're also giving up 84 points per game. Brandon Boston leads the Choctaws at 20 points and 9.0 rebounds per game. Lofton, who is in his 15th season in Clinton, has posted a career record of 214-155 (.580). He's seen it all and is prepared for what might happen against the Tigers. Pearl has seen it all, as well, and what he saw in the last 10 minutes of the Tigers' win against Washington on Friday was a missed opportunity. Pearl views Auburn's last game before heading for the Maui Jim Maui Invitational as a chance to be better prepared for a tough slog in Maui, where Auburn will face Xavier next Monday in the first round. Also on that side of the bracket is No. 4 Duke and No. 3 Gonzaga. "The only (D1) teams we could find for this game had really high RPI, which could destroy your own RPI ... even if you win," Pearl said. "Playing a D-2 team like Mississippi College will only hurt your tournament resume if you lose." Pearl is wary the Choctaws could pose a problem, but that's more coach-speak than anything else. "They'll score. They've got four guys in double figures that average 90 points a game. But, obviously, they'll be undersized," he said. Sophomore Chuma Okeke has become a force inside the paint and beyond the arc. He is averaging 19.5 points and 9.5 rebounds and has made 6 of 8 3-pointers. The sophomore is the only player in the Southeastern Conference averaging 15 points a game and shooting 75 percent or better from 3-point range. He was selected as the SEC's Player of the Week on Monday, and as they say, the rich get richer. Auburn's 6-11 center Austin Wiley returned to action against the Huskies after sitting out last season (NCAA investigation and foot injury) and while rusty (five points, one rebound and three fouls in 13 minutes), the fact he was playing his first game since March 2017 was uplifting for his teammates. As a freshman, he averaged 8.8 points, 4.7 rebounds and 1.4 blocks in just 18 minutes. "With Austin back, we're going to have some changes a little bit in the front line, and so Horace (Spencer), Anfernee (McLemore), Austin, Chuma (Okeke) -- those guys got to learn how to play together and share," Pearl told AL.com "They're all going to have their moments, but they're going to have to all share."